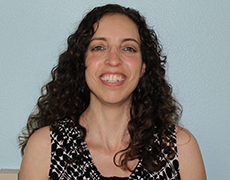 Shirit has been practicing as a speech/language pathologist since 2002. She is a Board Certified Specialist in Child Language, as recognized by the American Board of Child Language and Language Disorders. Her areas of expertise include child language disorders, social-language/pragmatics disorders, articulation/phonological disorders, auditory processing disorders, and fluency disorders (i.e. stuttering), among other areas. Shirit has extensive experience in working collaboratively on multidisciplinary teams in private practices and schools. Shirit specializes in working with children ages 2-10 years of age, and focuses on making therapy sessions fun, engaging, meaningful and functional for her clients and their families.